Sales Intranet : eyemg : web. mobile. social. 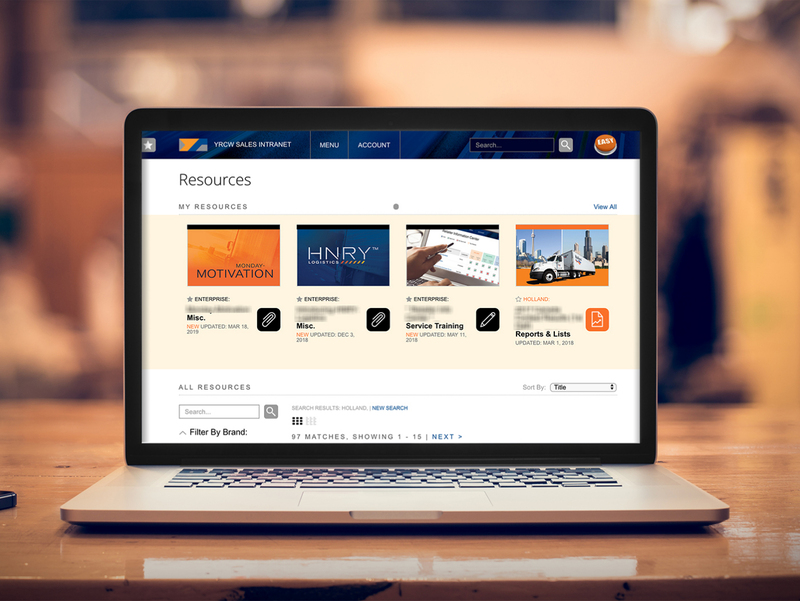 YRCW needed a place to highlight resources, case studies, tools and sales campaigns for its workforce. 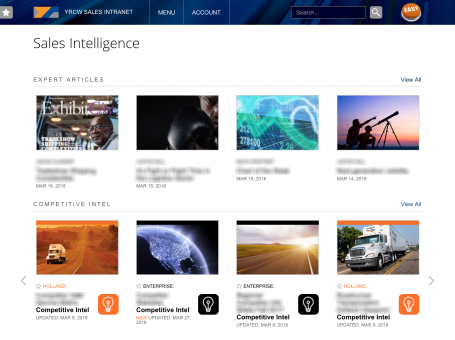 User accounts allow are tied to the different operating companies, and content is delivered based on their sales channels. 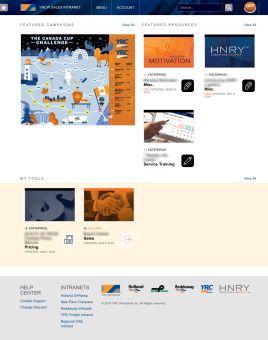 The sales intranet homepage highlights campaigns, resources and tools that are pertinent to my operating company(s). Users are able to click the star icon next to any element to keep them in their favorites. 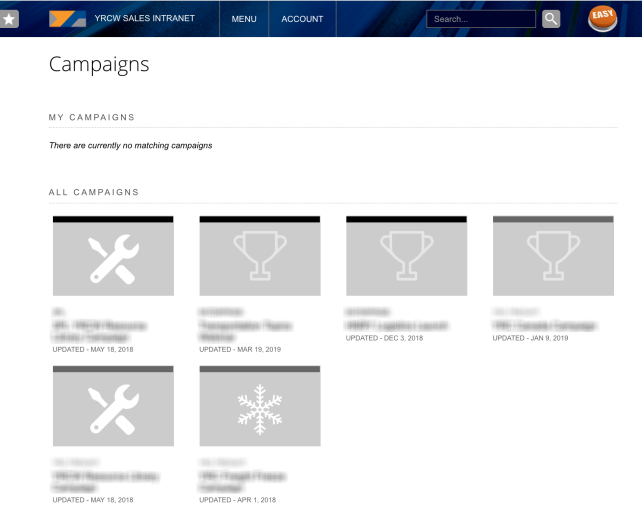 As new sales campaigns are announced, they are listed on the campaign page. Only the campaigns that are specific to the user's operating company are shown. 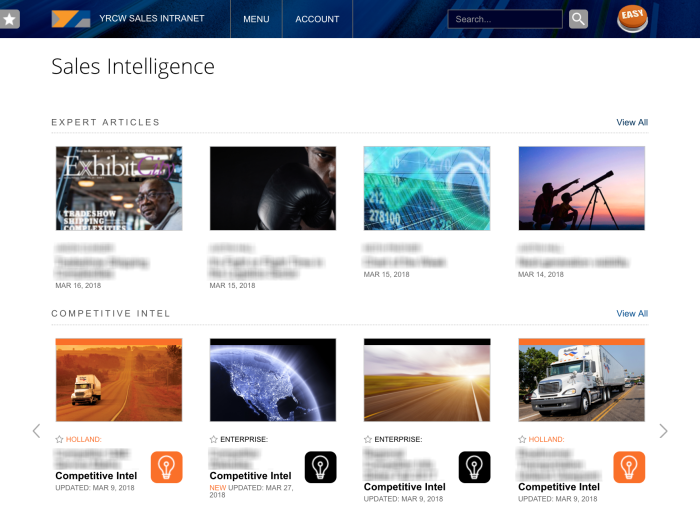 Competitive intelligence is gathered and presented to users, specific to each operating company. In addition, company experts share their sales tips. 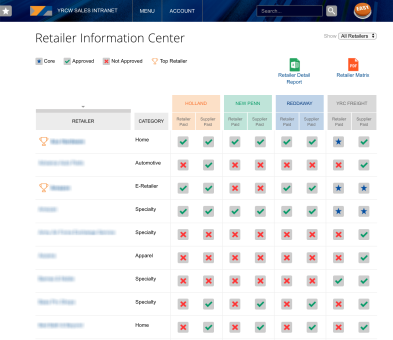 All retailers are updated through a database, and a comprehensive list is generated on the sales intranet. Users can sort by any column, and also print the list out.